At seven o'clock on the evening of 13th October 1761, the Calas family gathered for supper on the first floor of 16 rue des Filatiers: Jean Calas, a dealer in Indiennes, was 63 years old, and his wife Anne-Rose fifteen years younger. With them were two of their sons, Marc-Antoine, aged 28 and Pierre, 22, employees in their father's business. The other two sons Louis and Louis-Donat were not present; the first, aged 25, also lived in Toulouse but was estranged from the family, and the second, aged 14, was an apprentice in Nîmes. Two daughters, Anne-Rose and Anne (Nannette), aged 18 and 19, were away on a visit to the country. Joining them for the meal was a friend of Marc-Antoine, François-Alexandre Gaubert de Lavaysse [Lavaisse], aged 22, the son of a lawyer in Toulouse. The servant of the Calas family, Jeanne Viguière, was also present. Marc Antoine left the house immediately after supper, at about half-past seven. At about ten o'clock, Pierre was accompanying Lavaysse out, when he discovered his brother's body, lying - at least so he first claimed - on the floor of the shop, his coat neatly folded on the counter. The two young men went to fetch a nearby surgeon Camoire, but chanced to encounter his pupil Gorsse, who came back with them instead; the latter immediately realised that it was too late to revive Marc Antoine. On removing Marc-Antoine's black neckerchief, he discovered a rope mark round his neck and declared that he must have been strangled or hanged, "by himself or by others". Meanwhile a crowd of onlookers had gathered in front of the house. They soon jumped to the conclusion that the Calas family, who were Protestants, must have killed Marc-Antoine themselves to prevent him converting to Catholicism, as his brother Louis had done. Document cited from Athanase Coquerel, Jean Calas et sa famille, 1869, p.341-2. Beaudrigue decided to immediately imprison those present in the house at the time of Marc-Antoine's death - the three members of the Calas family, Lavaisse and the servant, Jeanne Viguière. As soon as they arrived in the prison of the Capitole, even without their formal admittance, Beaudrigue began an official interrogation. To the question "How did Marc-Antoine die? ", the father, Jean Calas, did not reply directly but specified only that he had been found "dead in the shop". Such imprecision could only reinforce the suspicions of the capitoul, who thought more and more in terms of a "Calvinist crime". 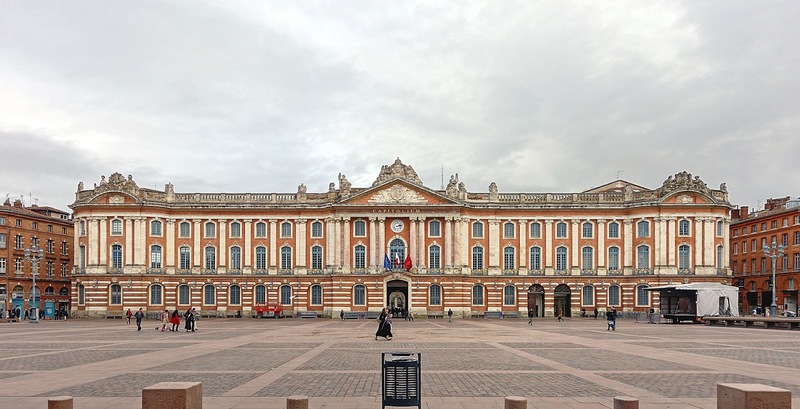 The municipal council of Toulouse consisted of eight "capitouls" chosen annually by the Conseil du roi, from a list of twenty-four candidates prepared by the Intendant in Montpellier. They acted as a court of first instance. On 14th October, Jean-Pierre-Bertrand Faget, "chef du consistoire" officially charged all those detained with having strangled Marc Antoine. David de Beaudrigue was charged with carrying out the Instruction, which he did in the days which followed, under the distant but attentive scrutiny of the comte de saint-Florentin, the minister responsible for Protestant affairs. The first two stages of formal proceedings, the "Information" (gathering of material evidence and witnesses) and the interrogation of the accused, ran concurrently since the Calas family had already been imprisoned and subjected to preliminary interrogation. More than eighty witnesses were heard. The questions put to them took it as assumed, that Marc-Antoine was on the point of abjuring Protestantism. To obtain more precise information a monitoire was promulgated on 17th October and read from the pulpit in all the parishes of the town on the 18th, again on the 25th and the 8th November. Presumption accumulated, but there was still no incontrovertible proof, since there were no eye-witnesses. ...when sieur Lavaysse wanted to leave, the younger son had taken a candle and accompanied him. When they had arrived in the alleyway of the house which led out to the street the respondent heard his younger son call out to him in tears. When he went down, his son said to him, "my elder brother is hanging strangled"; the respondent went into the shop and saw his son hanging by a rope from the door between the storeroom and the shop, the rope being attached to a thick pole lying across this door. The respondent took him by the middle of the body. He did not recall whether it was he, his younger son or sieur Lavaysse who cut the rope. He placed his son on the ground in the storeroom and, when he was on the ground, he detached the rope from his neck. His wife came down with Hungary water which she splashed on the face of her son, believing he was not dead, and the sieur Gorse arrived, examined the body and declared him dead. The accused maintained that they had not at first wanted to admit that Marc-Antoine had committed suicide, which would have prevented him from being given a proper burial. According to the 1670 Ordinance suicides were liable to be dragged faced down through the streets on a hurdle - as had actually happened in Toulouse in 1742 and 1752. David de Beaudrigue did not believe this new version of events and was determined to obtain an admission of collective murder. According to the defence lawyer Théodore Sudre, he had been briefly puzzled by the circumstances of the death and had made a initial effort to discover whether suicide was a possibility. (Sudre Mémoire pour le Sieur Jean Calas....(Toulouse 1762), p.38; Suite, p.14-15). However, by the time of the second interrogation, the case for the prosecution was already fully developed. Calas was consistently pressurised to admit that he had carried out a "pernicious plan" to kill his son in the knowledge that he planned to abjure Protestantism. The third phase of proceedings was the "Instruction", the formal confirmation of statements by the witnesses (les récolements) and their confrontation with the accused. This took place from 28th to 18th November. The prisoners again refuted all charges. The judgment took place on 18th November. 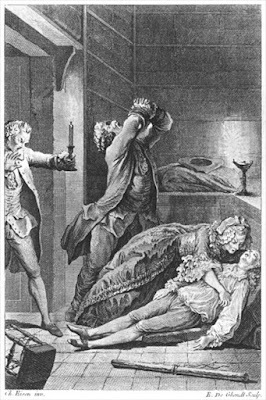 The procureur du roi Lagane was firmly of the opinion that a murder had been committed. He recommended that all three members of the Calas family be hanged, Lavaysse condemned to the galleys for life and the Catholic servant imprisoned for life. The rapporteur Carbonne, on the other hand, declared that the accused were innocent, wanted them released and asked the court to proceed against "the memory of the deceased Marc-Antoine Calas" for suicide. However, his opinion was isolated. However, after a final interrogation, in which the accused continued to deny all charges, the capitouls still found themselves without proofs. They had only presumptions of guilt and "indices éloignés" - that is, material evidence which did not point to suicide. They decided that the three members of the Calas family would be put to the question préparatoire to gain a confession, whilst Lavaisse and Jeanne Viguière would be "presented" to the torture only. 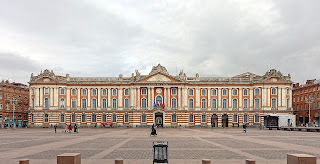 The accused immediately lodged an appeal with the Tournelle of the Parlement of Toulouse, whilst the procureur also appealed, but "a minima" for a more severe sentence. The magistrates of the Tournelle ruled that the proceedings, particularly the presentation of Lavaisse and Viguière to the question, had been illegal and on 5th december, ordered the case to be pursued under their own jurisdiction. it might well be supposed that the capitouls were aware of the irregularities and were taking advantage of the opportunity to pass the case on. The accused were transferred to the prison of the Palais de justice, and their legs fettered to prevent their escape. The new trial, under the charge of Pierre-Étienne de Boissy, lasted until 23rd February 1762. A further forty witness statements were gathered, most of them hostile. The few witnesses who supported the suicide verdict pointed out that Marc-Antoine had complained about his father's opposition to his business ventures, and that he had seemed depressed. The procureur général Riquet de Bonrepos recommended the execution of the three members of the Calas family, the father and son on the wheel, and the mother by hanging. The case against Lavaysse and Viguière should be postponed for the moment. The conseiller rapporteur Cassans-Clairac was of a similar view. On 9th March, after submitting the accused to a final interrogation, seven judges out of thirteen opted for an immediate death sentence, three for torture. Two judges wanted a reexamination of the physical evidence to verify if suicide were possible; only one judge declared for outright acquittal. Since a majority of two was necessary in a capital sentence, a long debate ensured, until finally an eighth judge declared himself for death. As the case was regarded as parricide, it attracted the full severity of the law. Calas was condemned to the wheel ("avec retentum" - a secret clause allowing him to be strangled after two hours) preceded by the question prélable and public penance (amende honorable). The other cases were reserved pending the results of the torture. The sentence was carried out on 10 March 1762. There remained only to decide the fate of the remaining accused. On 18th March Riquet de Bonrepos demanded that they be hanged, apart from the servant who would be imprisoned. However, the conviction of several magistrates had vacillated in the meantime. The conseiller rapporteur wanted Pierre Calas sentenced to the galleys, but other magistrates came down in favour of acquittal, or banishment. Finally, by ten voices against three, Pierre was condemned to perpetual banishment outside France, while the others were released. The family property was confiscated. The site of the scaffold, renamed in 2005 "Square Jean Calas"
The family now dispersed. Pierre and Lavaisse, perhaps out of fear, converted to Catholicism. Pierre was allowed back into the Jacobin convent in Toulouse, but later escaped to join his brother Donat in Switzerland. 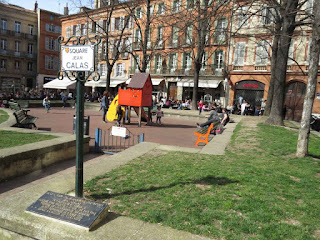 Mme Calas took refuge with friends in Montauban whilst the daughters were temporarily imprisoned in different convents in Toulouse by lettre de cachet, sent by Saint-Florentin to avoid scandal.